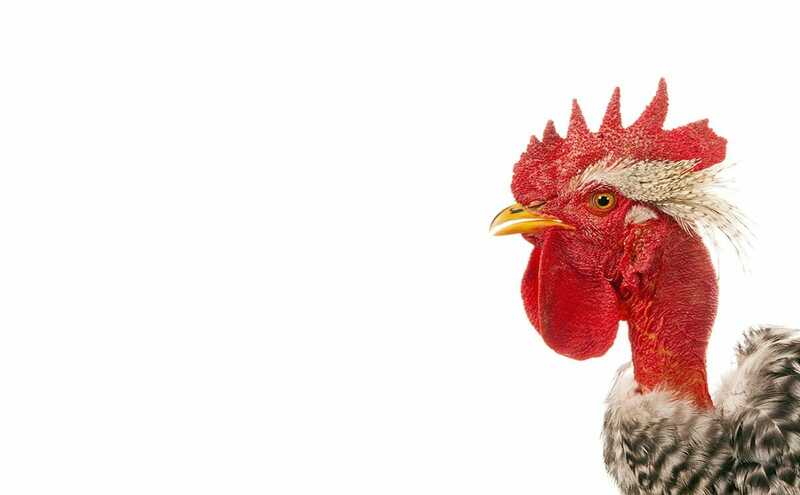 Could a virtual world allow chickens to range freely from their cage? It seems like virtual reality for humans is about to take off — VR headset company Oculus Rift was just sold to Facebook for two billion dollars. The next logical market? Chickens, of course. Or at least that’s the way Austin Stewart, a young assistant professor from Iowa State University, is thinking. Using a Oculus Rift headset, he’s designed a virtual world for poultry with the goal of opening a discussion about the future of farming. He calls it Second Livestock — an ode to the once-popular online world of Second Life ”“ and it’s basically a free-range world wherein chickens stuck in tiny cages in factories would be able to, at least mentally, live out their lives wandering an endless field. Stewart is quick to point out that this is not a fix for factory farming. Stewart has been working on the project since 2012, but he’s only recently started shopping it around at tech shows and conventions. He says most people who attend his presentation have one question in mind when they show up. That’s right, this thing actually does exist, it’s not just a lofty, futuristic idea. 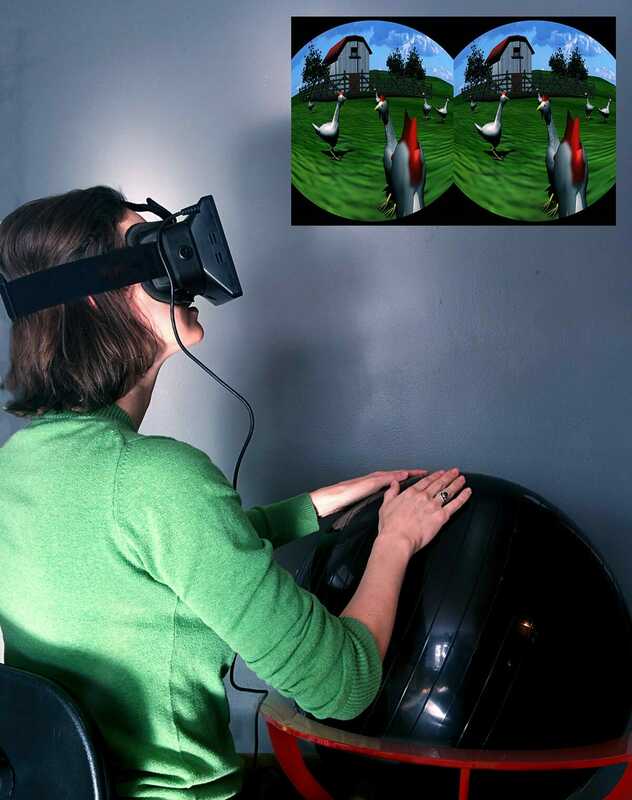 By pairing a virtual reality headset with a modified yoga ball, attendees of Stewart’s presentations can experience first-hand what it would be like to be a caged chicken living a virtual free-range life. For chicken-users the bottom half of the system consists of an omni-directional treadmill (designed by Stewart) that allows the chickens to wander endlessly without leaving the confines of their cage. For the human version Stewart has replaced the treadmill with a yoga ball. By placing your hands on the ball and rolling it around on its axis, you can traverse the virtual landscape as if you had little yellow feet of your own. By placing your hands on the ball and rolling it around on its axis, you can traverse the virtual landscape as if you had little yellow feet of your own. Back in the real world, Stewart has no illusions to just how far out is idea is. He even admits that it’s hard to decide whether this idea is for the benefit of chickens, or humans, but he feels that it’s something that we should be talking about. In the future he wants to take the project to some national agricultural tech shows to see how big industry leaders react to his idea. As for the future of the system itself, Stewart is unsure if or when the system will be tested on actual chickens.